1pcs 3D 10mm Crystal Car logo Key Emblem. 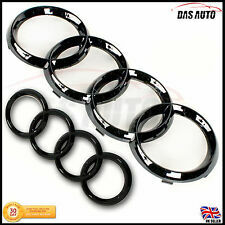 For VW 10mm. 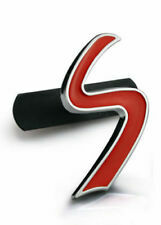 MINI COOPER S GRILL BADGE. GRILL BADGE. 1 GRILL BADGE. 1 X MINI COOPER S RED. THIS IS THE ACTUAL IMAGE OF THE ITEM. THIS IS HOW THE BADGE WILL LOOK. AS YOU CAN SEE THEY ARE EXCELLENT QUALITY. YOU WILL ONLY NEED 1 PLATE, BUT THE SECOND IS A SPARE. 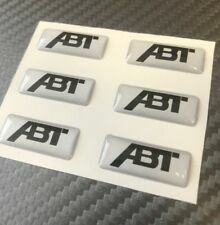 ABT 3D Sticker Badge, Small ABT decals 6 pc. We can produce custom Decals for you. Price is for 6 pc. You are buyingABT Decal SET. WE WORKING SINCE 1999. DO NOT wash the seats before mounting . •easy construction. • Scratch and abrasion resistant. All standard colors as well as silver and gold are available. • universally applicable. Front Grill Badge Size: 272mm x 95mm. Matte Black Grill & Rear Emblems. 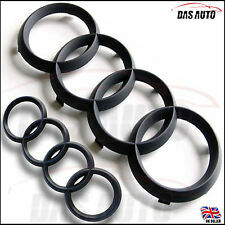 Not suitable for 2001-2005 Audi TT, A4, S4 B6 Model From 2001-2005, A5/S5 Sportback. 3M Rear Adhesive Badge. New Matte Black Design. 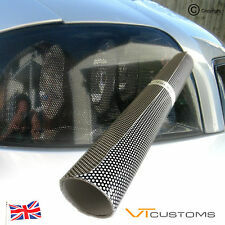 Carbon Fibre Grill & Rear Emblems. New Carbon Fibre Effect. 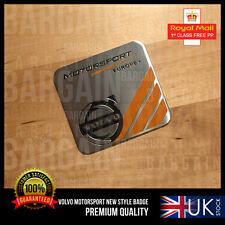 Front Grill Badge Size: 285mm x 99mm Approx. 3M Rear Adhesive Badge. Irmscher 3D Sticker Badge Sticker Black. 3D is a sticker silicone thickness of 2-3 mm self-adhesive on the back. contains 2 sticker. Quantity: 2 Pcs Fender Side Wing Badges. 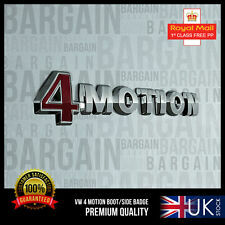 · Easy to install, stylish car badge will make your car more charming. · Self Adhesive. We will reply back to you instantly. Remove your old badge, clean the place you want to put on. Peel away the backing from the new badge and stick it into place you want. DOUBLE SIDED ADHESIVE ON BACK. Available in all colors. Just clean the surface of your car before sticking. Adhesive tape on the back. Made in Germany. Heat resistant, waterproof, high quality. Fits with VW Golf Passat Polo Tiguan. Quality decoration accessory. We will make every effort to respond your inquiries as early as possible. Compatible with all series will look good on all models. France Badge in the Famous Frence Colors. SUITABLE FOR EXTERIOR, INTERIOR USE, ENGINE BAY. 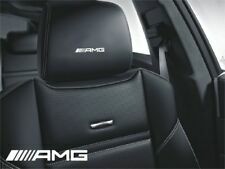 A stylish and tasteful exterior or interior upgrade for your car. Remove your old badge, clean the place you want to put on. Peel away the backing from the new badge and stick it into place you want. 2x Powered by Irmscher Sticker Decals for inside and outside. 300mm(11.8in) x 1500mm(59in). 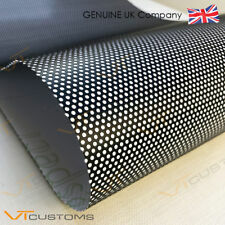 3D Carbon Fibre Vinyl Wrap. 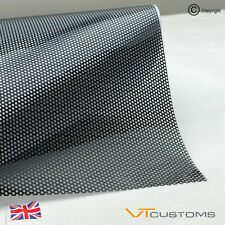 carbon fibre textured in matt finish. - Self Adhesive. Air drain backing to ensure a smooth application onto the vehicle. - Easy to Apply. Germany Badge in the Famous German Colors. SUITABLE FOR EXTERIOR, INTERIOR USE, ENGINE BAY. 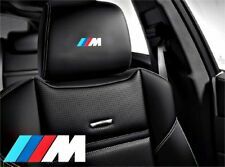 A stylish and tasteful exterior or interior upgrade for your car. Stickers for CHEVROLET CAMARO. Available colors: Black Carbon Fiber 3D. Available text: "CAMARO". Stickers are made of. Option 1 : Text is cutted in vinyl. high quality (not Chinese) materials that perfectly emphasize the character of the car. 2 PCS SUPPLIED (1 FOR EACH SIDE). This sticker is only glued on the flat surface. Set contains 1 sticker. Thickness 3-2 mm (not just a thin sticker). Just clean the surface of your car before sticking. - UV light resistance. 3M Wrap Film Gloss Dragon Fire Red 60 in x 19.7 in (152cm x 50cm) (at least). •Cast coloured film for vehicle wrappings. •Comply™ feature allows trapped air to escape through micro air channels in the adhesive. 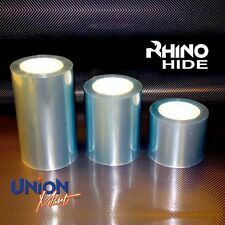 RHINO HIDE CLEAR PAINT PROTECTION HELICOPTER TAPE TRIPLE LAYER. It is supplied with backing film and gloss side protection film to protect from scratching whilst squeegying during installation. • Stretchable with heat (Hair dryer or heat-gun). 1 x Squeegee Applicator. Content on this page requires a newer version of Adobe Flash Player. Blue Wrapping Squeegee. Content on this page requires a newer version of Adobe Flash Player. MINI COOPER BOOT BONNET OEM ABS EMBLEM LOGO MAIN BADGE CLUBMAN COUNTRYMAN COUPE S 51147026186. fits mini cooper s clubman countryman coupe. 1x MINI COOPER OEM ABS BOOT BONNET EMBLEM BADGE CLUBMAN COUPE S SD. SIZES Approx 30CM. Our stickers are made from Avery or 3M high quality outdoor 5-7 Year Vinyl. EXEMPLE WHITE OR RED. The BLACK background in the picture is for illustrative purposes, the purple will be the colour of the surface you are sticking the sticker to. Our stickers are made from Avery or 3M high quality outdoor 5-7 Year Vinyl. The BLACK background in the picture is for illustrative purposes, the purple will be the colour of the surface you are sticking the sticker to. Adhesive tape on the back. Available in all colors. Just clean the surface of your car before sticking. Size:(130mm x 27mm). Made in Germany. Made with high quality of Aluminium. Stick to body panel. Stick inside your car on dashboard or any flat smooth surface. 3M Adhesive on back (peel and stick). Size:58mm x 14mm. 100% weather-proof. 3D is a sticker silicone thickness of 2-3 mm. Set contains 1 stickers. JEEP 3D Sticker Emblem Logo. Remove your old badge, clean the place you want to put on. Peel away the backing from the new badge and stick it into place you want. DOUBLE SIDED ADHESIVE ON BACK. Audi RS2 3D Aufkleber Aufkleber Logo. • Make sure the surfaces are clean and free of dust and grease!